She lived a long life, the adopted daughter of Atatürk, Sabiha Gökçen. Istanbuls second airport is named after her – I was there this week, recently a brand new and huge terminal was opened. Of course there is a reason why the airport was named after her: Sabiha, born in 1913 and deceased in 2001, is very well known in Turkey and in the world of aviation because she was the first female combat pilot in the world. Her first combat was against an enemy that had no means to defend itself against the overwhelming power of the Turkish army: Sabiha bombed the province of Dersim (nowadays called Tunceli) and its Kurdish-Alevi inhabitants. It was 1937, and there was a rebellion going on in Dersim against the ‘Turkification’ of the country. Dersim had always been a rather independent region, inhabited by Kurdish tribes following a different kind of Islam than the majority of Turks, “Alevism”. They didn’t care much about the new republic and its laws, since they had their own system of taxation, of law and of (feudal) government. Officially the military operation against Dersim was meant to supress an armed rebellion, but in retrospect everybody knows it was meant to destroy the Kurdish ethnic identity. 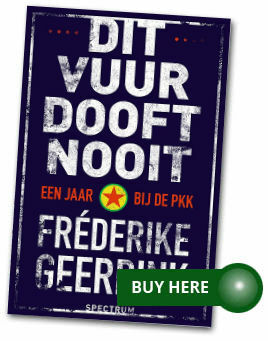 Dutch expert Martin van Bruinessen calls it ‘ethnocide’ in this interesting text (in English). Thirteen thousand people were killed, and no distinction was made between armed rebels and innocent civilians, men and women and children. People were shot and thrown into rivers, villages were bombed and there is speculation that gas was used too, for example to kill women and children hiding in caves. There is a lot of discussion going on in Turkey about the events in Dersim in 1937 (and in 1938, when the military operation continued after the winter). It started when an opposition MP recently suggested the ‘Dersim method could be used to bring the Kurdish issue to a conclusion’, and of course he was widely criticised. There have been demands to let the truth about Dersim really come out, to discuss it and also discuss the role of Atatürk – who died in 1938, and who called Dersim ‘Turkey’s most important internal problem’ in a speech to parliament in 1936. When Dersim isreally openly discussed, surely Sabiha Gökçen will be mentioned too. It is said that in the bombardment of Dersim gas bombs were used too. But Sabiha was 23 at the time, she had a real passion for flying, was of course under the influence of her ‘father’ and followed orders. I don’t think she can be held in any way responsible for what she did. But it would be good to put her fame as the first female combat pilot in perspective a little bit. Sabiha was brave, she was smart, her career was inspiring, but the times she lived in and the events that took place, can be regarded as one of the blackest pages in the modern history of Turkey. Ms. Sabiha Gokcen was originally an Armenian. Indeed Hrant had found and interviewed the relatives of late Ms. Gokcen now living in Armenia. According to the information obtained she was taken from an Armenian orphanage and raised by Ataturk to be an accomplished military bomber pilot. She was a national icon and symbol of modern Turkish women besides being the daughter of Ataturk. Whe are Zaza not turks and not kurds! @ Anatolian, Hrant Dink based his claims on the claims of the immigrant Hripsime Gazalyan who claimed that she was Sabiha Gokcens cousin, The claims have later been proven false by multiple sources, and people including those from her biological family, if the claims were were true Sabihe would have been 15﻿ during her first flight (she was 22) and 16 during Dersim.